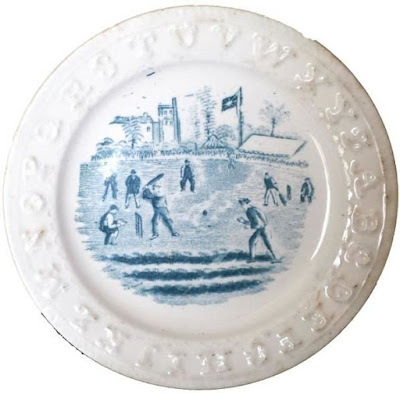 Dishy News - A Transferware Blog: SPORTS ON TRANSFERWARE, BUT NOT THE SUPERBOWL! 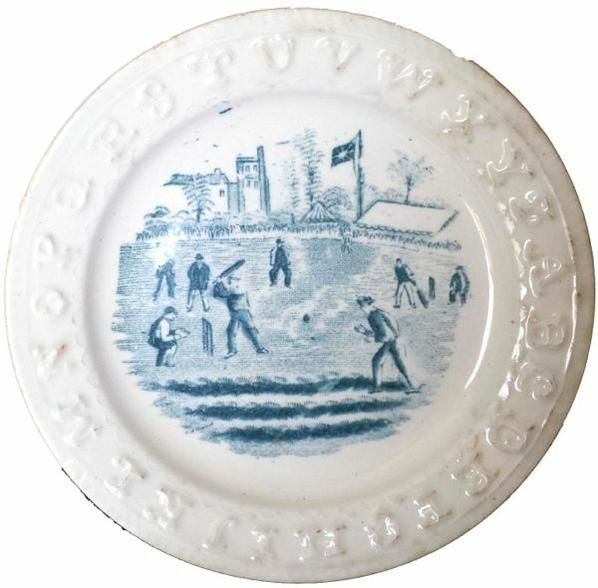 SPORTS ON TRANSFERWARE, BUT NOT THE SUPERBOWL! The title of this post is silly. 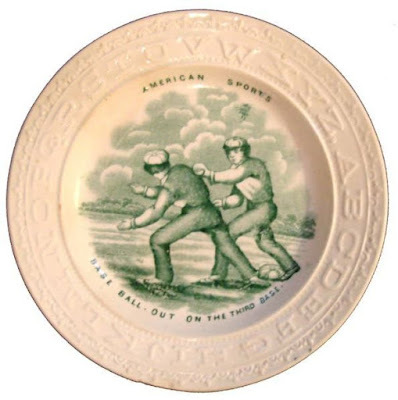 The Superbowl is only 50 years old. 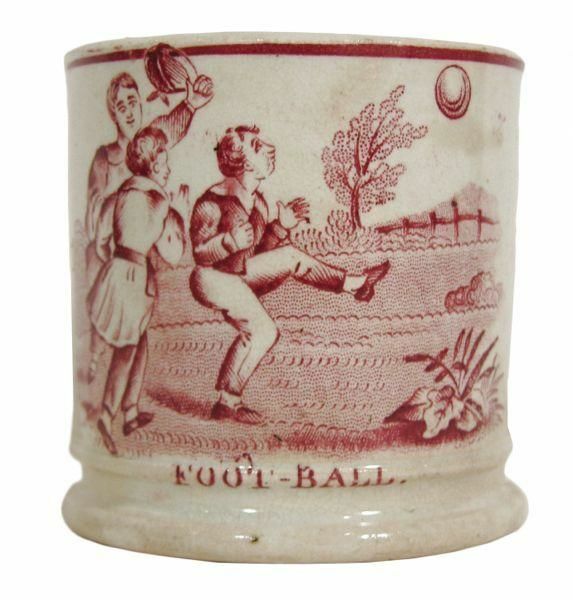 But, there is football on transferware. 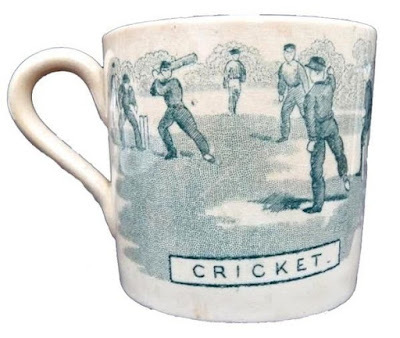 Of course, it is what we in the United States call soccer. J. 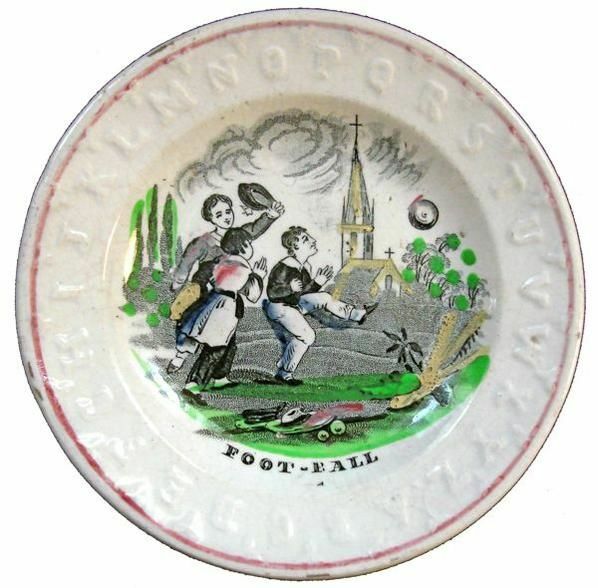 & G. Meakin (1851-2004) 5.37 inch child's plate "Foot-Ball," second half of the 19th century. 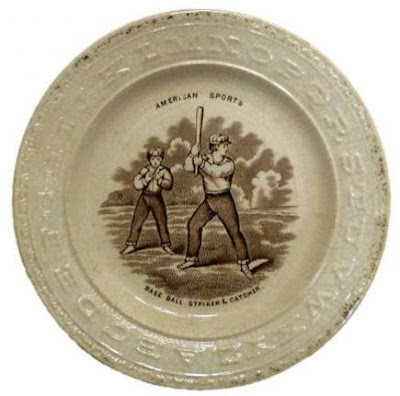 However, there is one very American sport (that I know about) on 19th century transferware; Baseball. 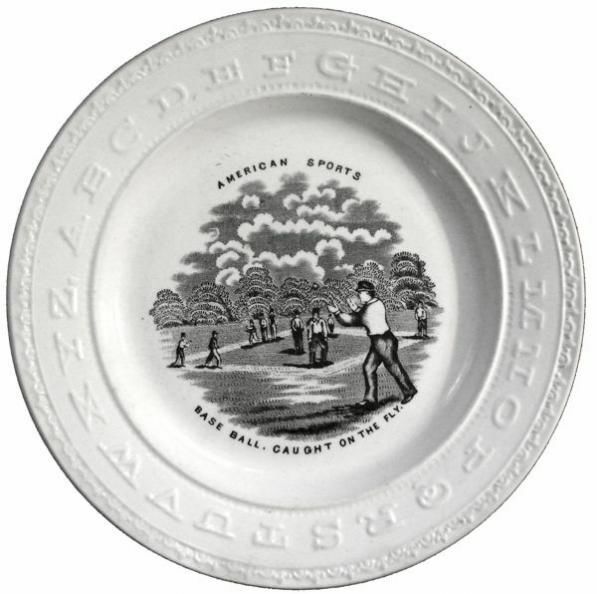 "American Sports/Base Ball Caught On The Fly" 7.88 inch plate, 19th century. 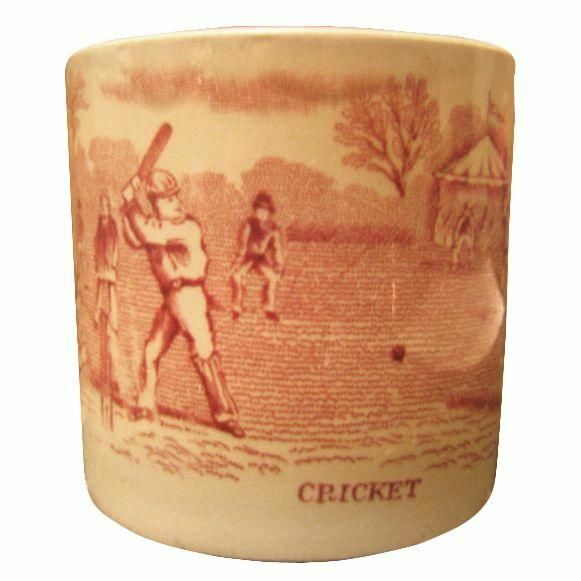 Cricket has been compared to baseball (it is now one word rather than two), but the games are quite different. Although, both use balls and bats. 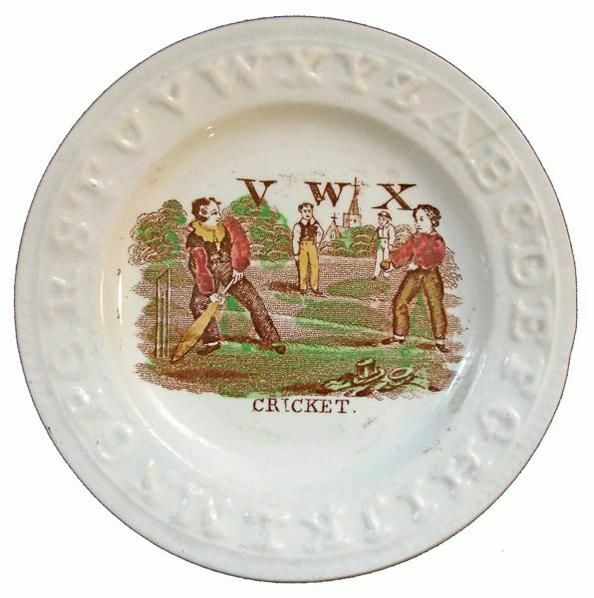 Alphabet 5.64 inch plate "Cricket," 19th century. 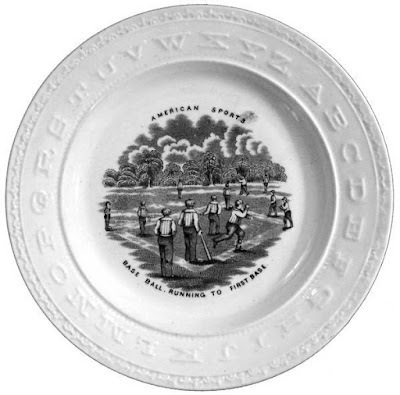 The pattern was intended to aid in teaching the alphabet. It features the letters "V W X," along with a molded alphabet border. You have probably noticed that all of the patterns I have shown you so far appear on plates and mugs intended for children, but the soup tureen below is part of the "Metropolitan Scenery" dinner service. 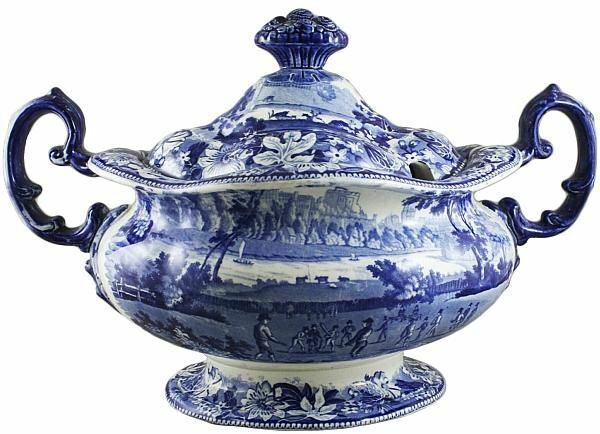 Windsor Castle soup tureen from the "Metropolitan Scenery" series by an unknown maker, ca, 1825. It is copied from a print titled "Grand Cricket Match" from the 1793 issue of the "Sporting Magazine." Notice Windsor castle in the top middle of the tureen. 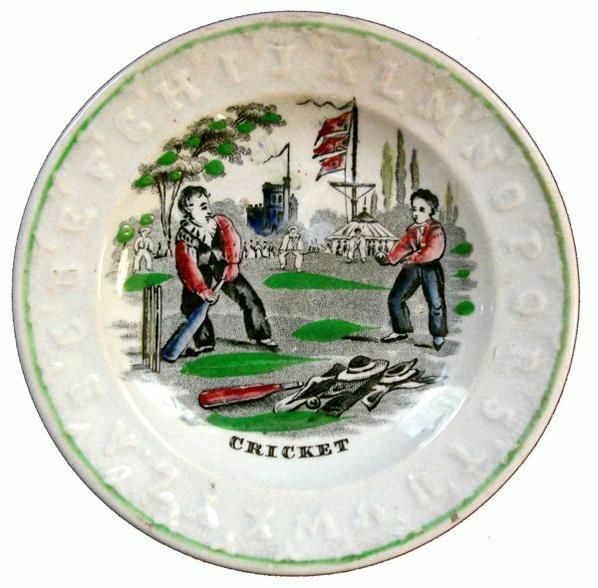 Grand Cricket Match from the "Sporting Magazine." I have only included team sports in this post. Individual sports such as archery, badminton, and tennis (popular 19th century sports) also appear on transferware, as do field sports such as hunting. Perhaps I'll write about them another day. Enjoy Super Bowl 50! I'll be reading a book about pottery.